© U.S. Army/Los Angeles Times/TNS Staff Sgt. 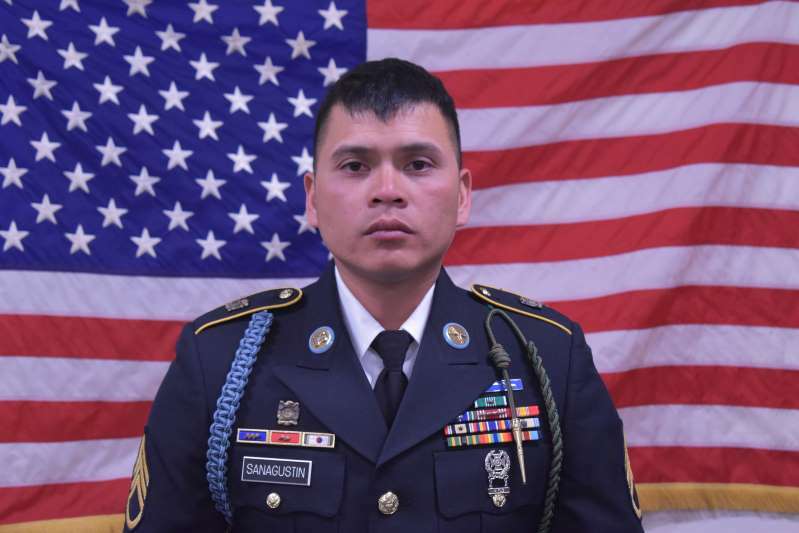 Diobanjo Sanagustin, a 32-year-old soldier from National City, Calif. died Tuesday in Afghanistan. The U.S. Department of Defense on Wednesday announced that a soldier from California died while on duty in Afghanistan. Staff Sgt. Diobanjo Sanagustin, 32, of National City, near San Diego, died Tuesday after suffering an injury that was not related to combat, the Defense Department said in a statement. It was not specified what his injury was, the department said, and the death is under investigation. Sanagustin was deployed with the 1st Stryker Brigade Combat Team, 4th Infantry Division at Fort Carson in Colorado. He began his career as an Army infantryman in May 2007 and was deployed three times - to Kosovo, Iraq and Afghanistan. "Staff Sgt. Diobanjo Sanagustin ... made a lasting impact on the Manchu formation and we will forever cherish his memory," Lt. Col. David Uthlaut said in a statement. "Our deepest condolences are with the Sanagustin family."